Saturday, Superintendent Susanna Cordova offered a new proposal, shrinking that difference to some $5.5 million, KDVR reported. All schools will be open Monday but due to a lack of staff early childhood education classes will be canceled. AT LEAST THEY WONT BE ANY BRAINWASHING TODAY. True dat.. Though i keep wondering. 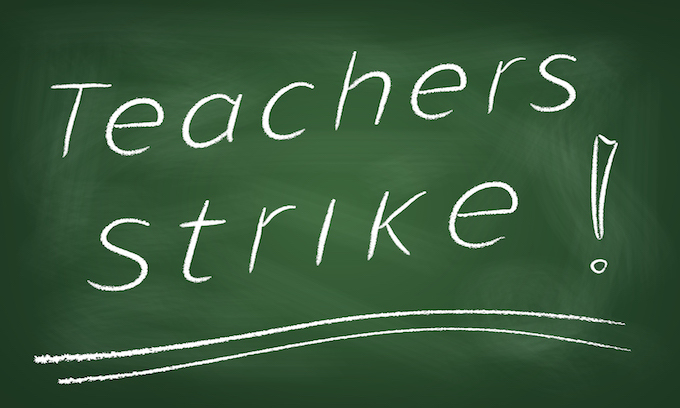 We often see these strikes “because teachers don’t get paid enough” etc.. YET EVERY TIME I watch shows like House hunters, i see teachers buying houses 200, 300, even 400 THOUSAND dollars worth… They must be making a pretty pay check to afford houses like that. Love charter schools. These teachers are spoiled and greedy. Get back in the classroom or lose your jobs. NO sympathy here.